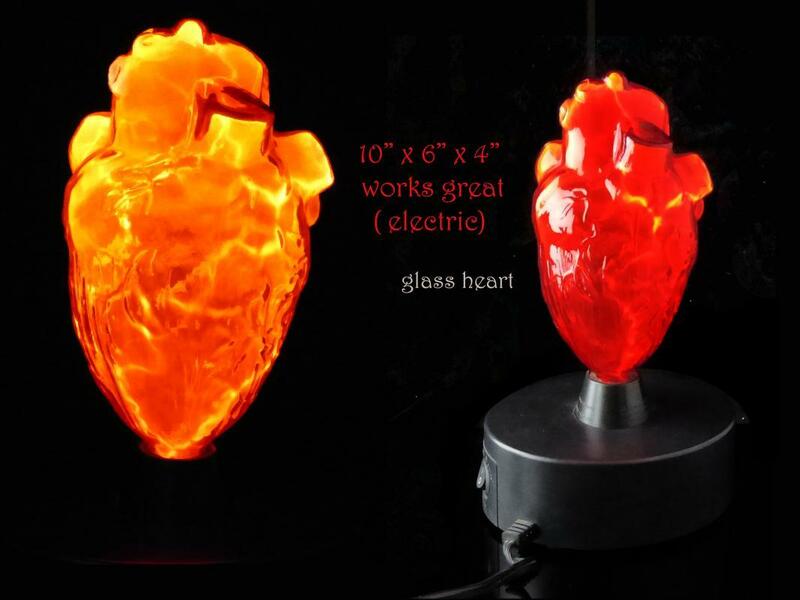 This glass heart lamp has an electrical storm of energy inside . 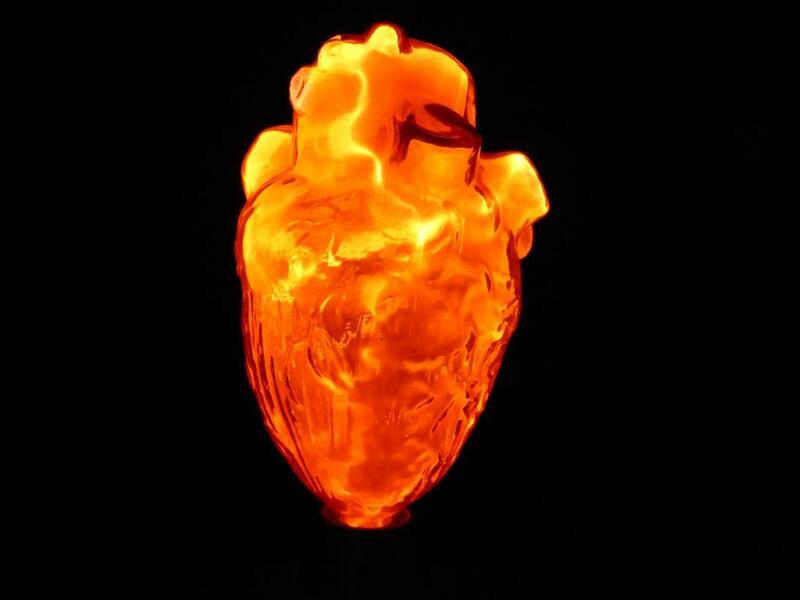 And when you touch it the pulses come toward you . 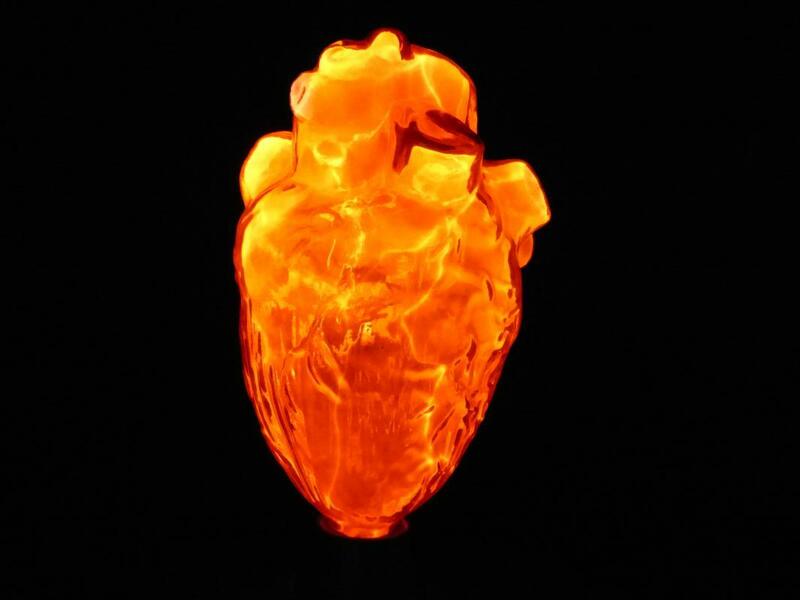 When you turn it on, the pulses move on their own. 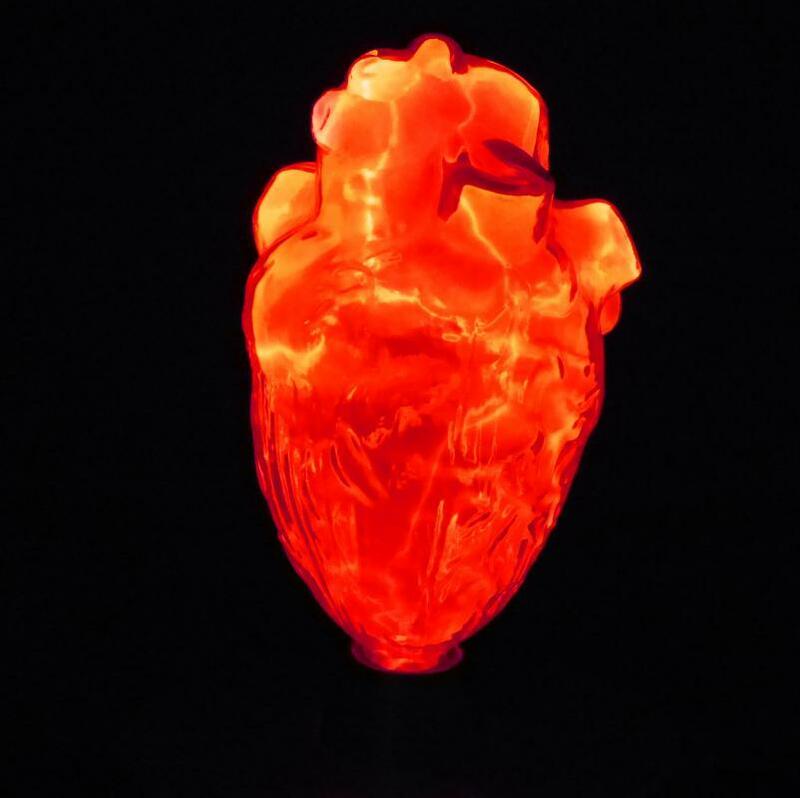 Electric charges twirl and dive inside glass globes filled with phosphorous gases that add a colorful glow to the electric arcs. 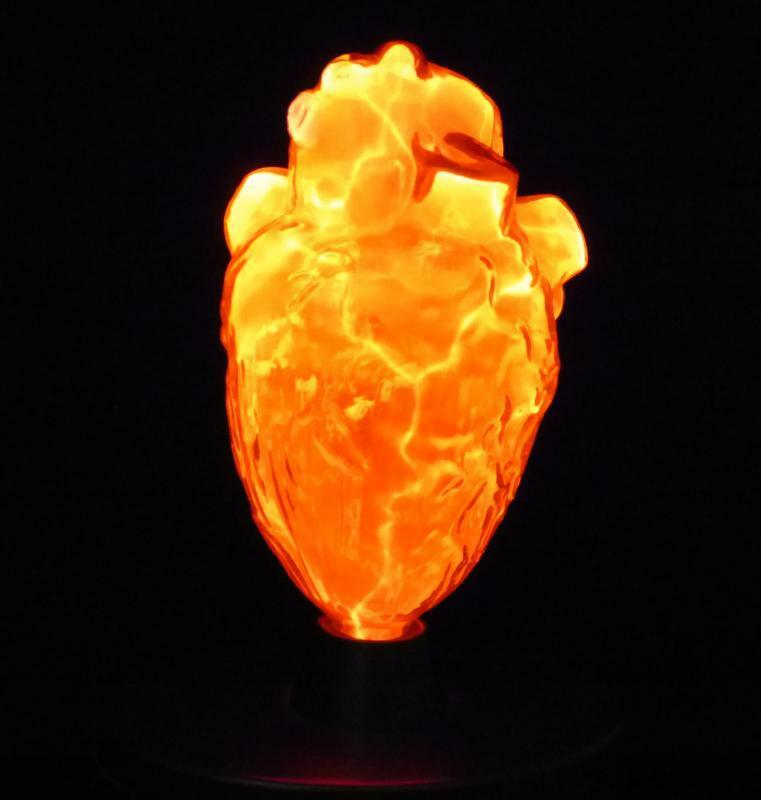 originally purchased for a school, this heart lamp would be the coolest gift to a medical student or heart doctor. It is 10" tall.